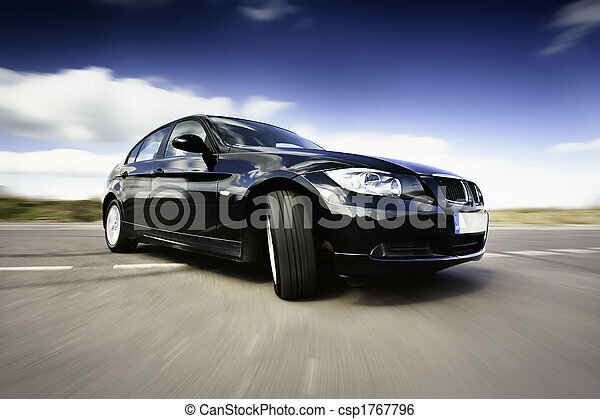 Black car in motion. 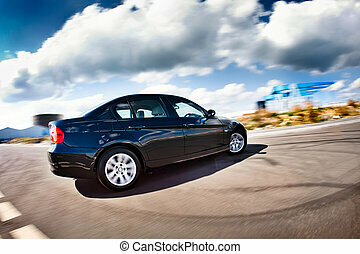 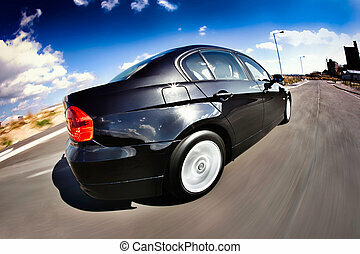 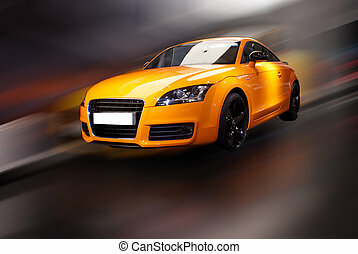 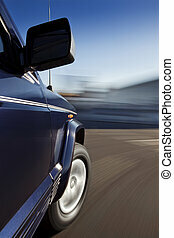 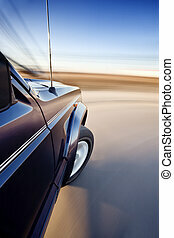 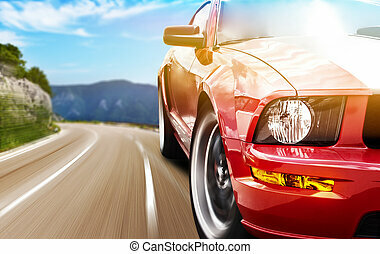 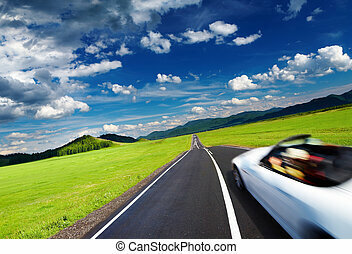 Black sports car in motion with deep blue sky. 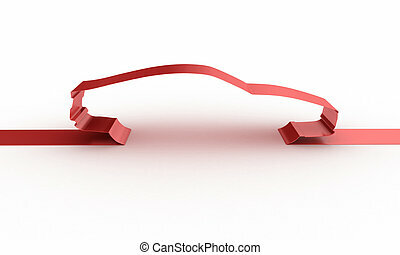 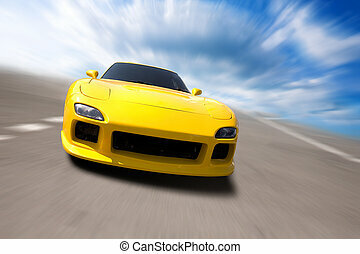 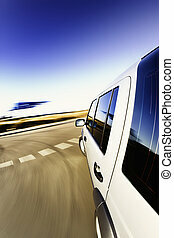 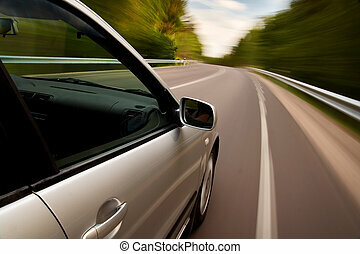 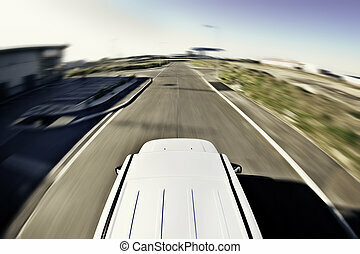 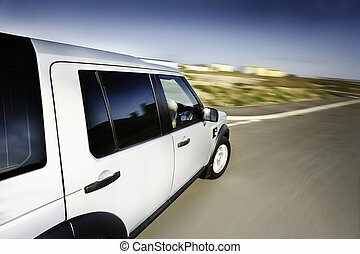 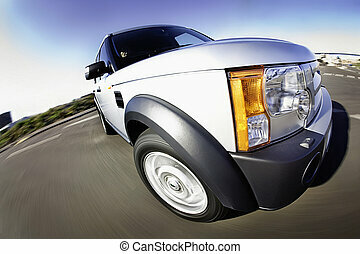 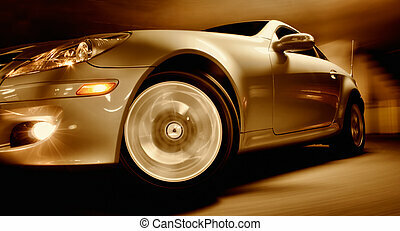 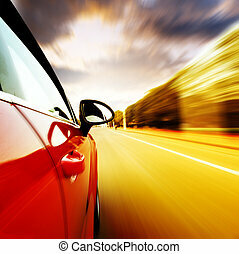 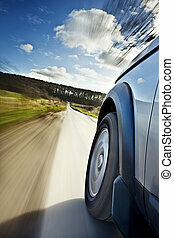 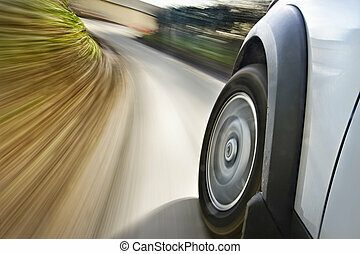 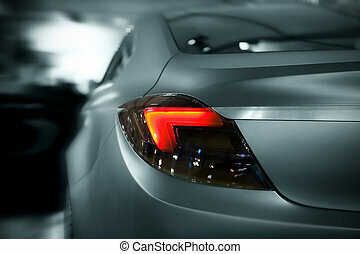 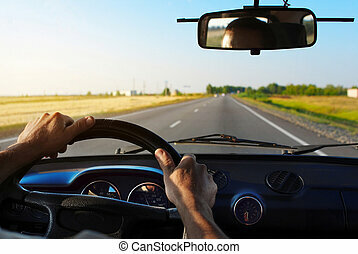 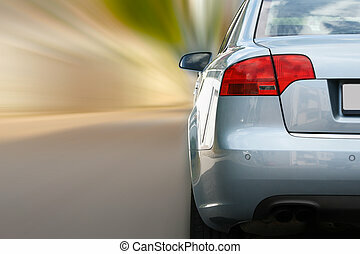 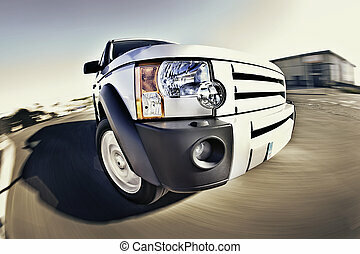 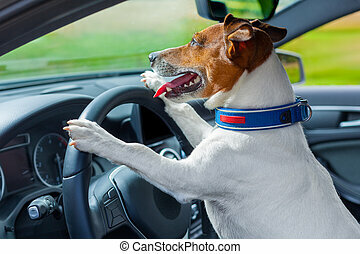 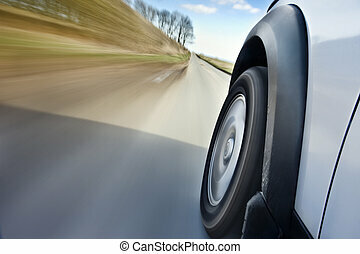 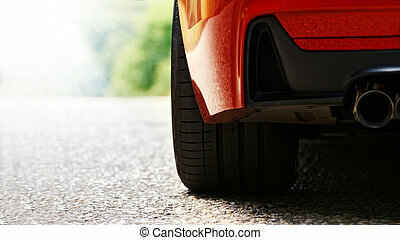 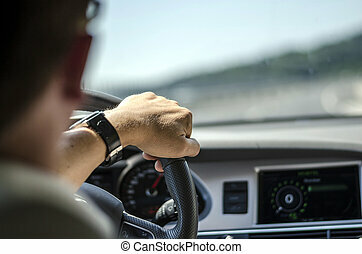 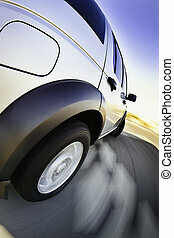 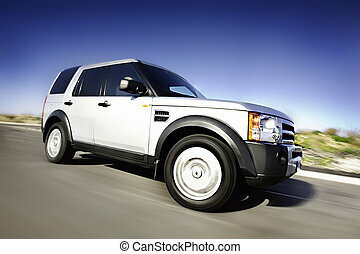 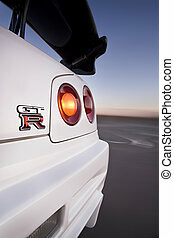 Generic photo of man driving a car through slight turn.